When it comes to the gaming industry, few names are as loved or revered as John Carmack. Mr. Carmack launched ID games, literally hand-coding most of the original Wolfenstein 3D and Doom games. The optimizations he fathered in the Quake and Doom series set a high bar for engines to come. Thus when Mr. Carmack announced he was working on a new game for the iPhone, the gaming community naturally took note. Now that game has been released at last, and it turns out that Mr. Carmack has breathed new life into an old favorite. In the end, Mr. Carmack has created a hardware-optimized version of the classic Wolfenstein 3D. The game first started as a port of the Java cell phone game Wolfenstein RPG. Faced with software rendering inefficiencies, Mr. Carmack took matters into his own hands, finishing code for a hardware-optimized Wolfenstein RPG in only four days, when it was estimated to take a full development team 2 months. Rumors: A new, better iPhone 3.0 this summer? Today appears to be rumor day over at Cupertino, folks. If we'd known ahead of time, we would have done a roundup at the end of the day. AppleInsider has a source that's reporting that at least one of Apple's upcoming iPhones will feature video recording. The information comes from a person "extremely reliable" when it comes to predicting Apple's hardware changes, which is why it's ended up on the front page, added to the fact that they mentioned "at least one upcoming iPhone". The new iPhone is due out this year, and will also feature extremely improved hardware to support better game on Apple's mobile device. This suggests new graphics and a new processor, which will help in other areas that aren't gaming. Video recording has been one feature many have criticized the iPhone for lacking, and Apple has taken this long to do so because it wants to "get it right". Perhaps this means it will include editing tools, or other features, because there's not much else to get wrong about recording video. 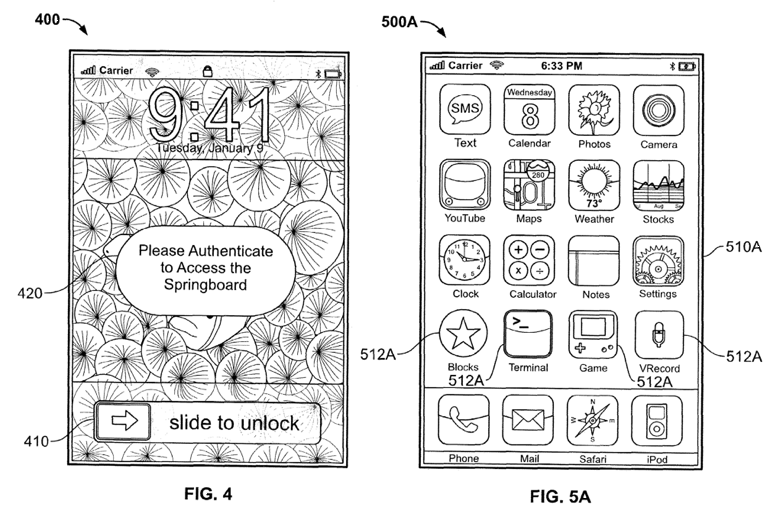 Apple is rather well known for filing a lot of patents, most of which have yet to go anywhere. However, this one seems rather interesting. AppleInsider is reporting a new filing that shows a biometric scanner that would allow users to use their iPhone or iPod touch much more securely, without it being a hindrance. One general expectation in the tech community is that Apple will release a new iPhone sometime in 2009. After two years of consecutive hardware releases, people would likely be more surprised if Apple didn't release a new phone this year. Still, Apple and its U.S. service provider AT&T have remained coy about upcoming hardware updates. The iPhone OS v3.0 preview came with not a hardware mention to be seen, after the last two OS updates accompanied new hardware. However, recent reports cite a high-level source at AT&T as saying that a new iPhone may indeed be coming. The source says that yearly iPhone hardware releases are "becoming a tradition" and comments that in mid-June (around the time of the OS v3.0 release) , Apple and AT&T will have a big announcement. They also hint that customers soon will not have to choose between the iPhone or high end smartphones with more features. This indicates that new features may be added to the iPhone with the next hardware update, such as autofocus/flash for the camera, video sharing, etc. Google's CEO Eric Schmidt once famously said, "We get sued every day." If Apple, known for pursuing a bit of litigation of its own, plans on continuing to make the iPhone, it might consider adopting such a motto. While Apple's iPhone is a veritable commercial success, it has been a thorny legal challenge for Apple. From users angry about its controlling tactics, to intellectual property holders suing over the phone's features the iPhone has not taken the easy road when it comes to litigation. Apple has just been hit by not one, but three patent suits from different firms. The first comes from Affinity Lab of Texas (not related to the Monster Subsidiary, Affinity Labs), which claims that Apple violated three of its patents. The first is a patent on sending music wirelessly to portable devices. The next patent is on using wireless connections or cellular services to stream, browse, and/or download content. The final patent is on docking a hardware device to send music to it -- which Affinity Lab of Texas claims the iPod Touch and iPhone violate. As Pure Digital's Flip cameras have amply demonstrated, there's plenty of folks looking for nothing more than a dead simple digital video camera, and it looks like Japan's Amadana is now looking to peel off a bit of that user base with its new SAL pocket camera. Somewhat notably, this one will let you connect it directly to another SAL camera to transfer videos without a computer, but it's otherwise a bit on the lackluster side, with it packing just 2GB of internal memory and not able to capture anything higher than basic VGA video at 30 fps. The $200 price tag and two hours of battery life don't exactly help things either, but if camera-to-camera video sharing is your top priority, you can look for this one to be available in Japan on May 22nd. One of the coolest things about the iPhone and the iPod Touch are all the great apps available through the app store, many of which are absolutely free. These apps turn the iPhone into more than just a phone and the iPod Touch into more than just a music player. If you just got your iPhone or iPod Touch, you might be a little dazzled on the sheer number of choices available to you. Obviously, you are going to want the Google app and the Facebook app, but what else? Here's a few 'must have' web apps that cover music, movies, books and even news. Pandora. The Pandora allows you to create your own radio station by picking out a musical group or song and letting Pandora link it to similar music. This is app is great if you are bored of your current playlists and are on the lookout for some new music as it uses an extensive database to find related music. Flixster. If you love movies, then you must download Flixster. Not only does it put a wealth of information in your hands from theater locations and movie start times to trailers and reviews, it also interfaces with your Facebook account and lets you know what your friends thought of a movie. Apple retail stores as of Thursday are selling unrestricted quantities of the iPhone 3G at the full, non-subsidized price of $599 for the 8GB version and $699 for the 16GB models. The move follows AT&T's plans to sell one phone per customer at the full price for existing customers of its service. In Apple's case however, there is no limit on the number of phones a buyer can purchase, and no need to have an existing AT&T contract. Activation can completed by the customer at home through iTunes. While the phones are still technically locked to AT&T service, it is possible (but not supported) to unlock the phones for use with other mobile service providers. In the US, that is largely limited to T-Moble, although that GSM provider does not support the same 3G network the iPhone 3G needs to connect at faster than EDGE speeds. Apple's change in sales policy comes as the company is working to sell off remaining inventory to prepare for the upcoming launch of the new 2009 iPhone, expected to be released around the middle of June, possibly at the company's similarly-timed Worldwide Developer Conference. No doubt, like me, you’ve been reading about the deal that Play.com have been offering regarding sim free iPhones. Where was the stock coming from? Perhaps the biggest - Would the iPhones be covered by Apple’s warranty should things go pear? Play stresses that these aren’t ‘unlocked’ but totally new and sim free - so totally available to use on all networks and not unlocked from a certain network. While we patiently wait for the Micro Four Thirds format DMC-GH1 with 1080p video to pop for purchase, we have to feed on whatever retail crumbs we can grub off Panasonic. As usual, our Japanese camera overlords will have first dibs on this ¥150,000 (less than $1,500 when it arrives Stateside) bundle that includes a 14-140mm lens starting April 24th. Think about it; we've gone from zero to four HD-capable video DSLRs in six months. 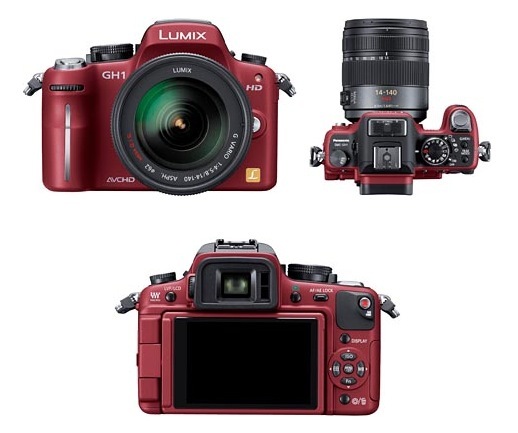 Ok, ok, three-plus actually, since Micro Four Thirds cams are technically not DSLRs due to the lack of an internal mirror and prism -- just humor us with with GH1's interchangeable lens mount, DSLR-sized sensor, and bevy of manual controls ok? Geesh. While videophiles might shudder to think it, Pure Digital's crappy Flip, the little YouTubecam that could, has changed a lot about how a lot of folks approach video capture -- $590 million worth of change, according to Cisco. 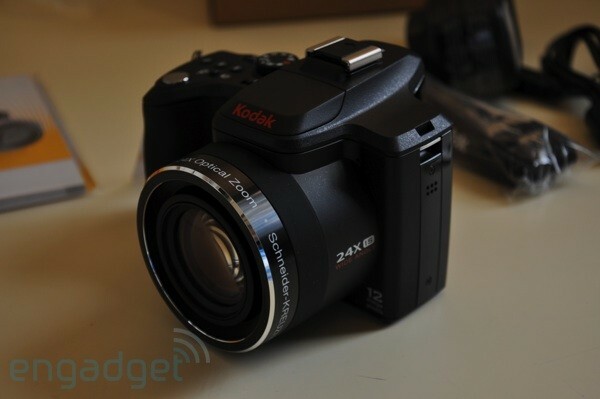 Kodak jumped into the market last year with one of the earliest HD models, the $179 Zi6. 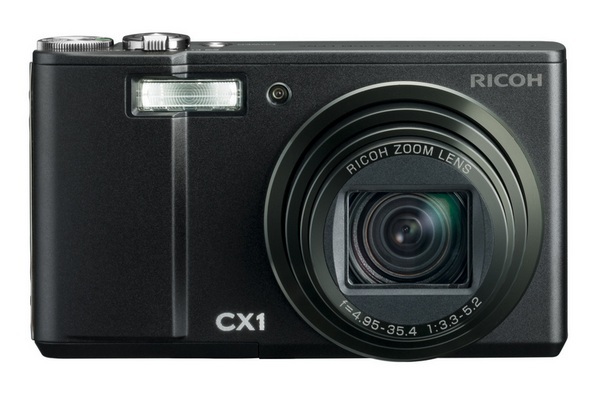 Now they've followed up with the Zx1, a $149 'rugged' camera for, um, ruggedness. They're aiming the camera at outdoor types, but with a smaller form factor, better build, lower price, HDMI output, and 60fps 720p recording (the original maxes out at 30fps 720p), about the only thing you'll be missing from the Zi6 is a macro mode. So, specs aside, how does the Zx1 perform? Find out after the break. While Kodak's new Zx1 might be a tad more exciting, Kodak is also keeping at the EasyShare thing with its new Z980 zoomer. We've gotten to spend some time with the camera, and while we appreciate the price, the size and the endless zoom, we're overall none too impressed. Check out our full impressions after the break. This is a great time to be shopping for a high-end pocketable digital camera -- assuming you're the sort who doesn't get overwhelmed when faced with plenty of options. With recent offerings like Fuji's F200EXR, Ricoh's CX1, and Casio's EC-FX100, it's a busy market, and now the arrival of Panasonic's DMC-TZ7 makes it even more so. Reviewed by Photography Blog, the 10 megapixel cam was found to offer great image quality at both ends of its 12x, 25 - 300mm Leica lens, functional image stabilization, and minimal noise up to ISO 400 (though it does go all the way to 1600). Even the 720p video recording impressed, which you can see for yourself in the sample vid embedded below. At the end it nabs a perfect rating, which might make it perfect for your pocket -- if you don't mind that $400 MSRP. Forget copy-and-paste. The real seed of innovation planted in the upcoming iPhone 3.0 upgrade is the OS's ability to interact with special accessories via Bluetooth and the dock connector. Here's why you should care: There are endless possibilities for app-accessory combos — so many, in fact, that we're going out on a limb and coining a phrase to describe the field: dongleware. Here's a good example from Apple's recent iPhone 3.0 event: an insulin meter that communicates with a diabetes application for the iPhone. Now, with an iPhone in her pocket hooked to the meter, a diabetes patient can check her glucose levels and plan out her meals and insulin injections using live data. Tell us that isn't intriguing — and that's just scratching the surface. With the App Store burgeoning into a billion-dollar industry, and the iPod and iPhone accessory market also surpassing a billion dollars a year, you can be assured iPhone developers will leap on this opportunity to push innovation to new heights. IPhone 3.0 could open doors to significant advancements in home entertainment, the medical field and even the military. IPhone 3.0's huge potential fired up our imaginations, dreaming up a list of accessory-powered apps we'd like to see. It's not long, as we'd like you readers to submit and vote on suggestions, too. What better way to tell developers which apps will help them strike it rich in the App Store? It's early on, we know, but the EOS Digital Rebel T1i is already shaping up to be a winner. Merely hours after its official unveiling, the shutterbugs over at Imaging-Resource have put together a remarkably thorough hands-on preview that takes you through practically every feature offered on the new DSLR. One area of importance was the movie mode; we quickly noticed that Canon deliberately failed to mention the word 'autofocus' when referencing 'movie mode,' and sure enough, the cam won't autofocus continuously. As with the D90, this little fact puts a huge damper on what would otherwise be an (even more) amazing feature, but we suppose we'll chalk it up to baby steps and just hope for better at PMA 2010. At any rate, everything else seemed to exceed expectations, with their beta unit delivering image quality 'at least as good as the 50D.' Hop to the read link for all the rest. After we posted the Canon EOS 500D rumor last week, many were curious what the camera looks like. So today as promised, here’s the new Canon EOS 500D also dubbed as the Rebel T1i. ‘We are witnessing the emergence of a new phase in digital imaging history, as high-resolution still images and HD video can now both be produced in a hand-held device, for under $1,000. This is truly a great time to be involved in digital imaging as the advent of online communities are helping usher in this next great era in imaging,’ stated Yuichi Ishizuka, senior vice president and general manager, Consumer Imaging Group, Canon U.S.A.
We can see from Yuichi’s statement, that the price of New Canon EOS 500D may hit below the $1,000 mark. 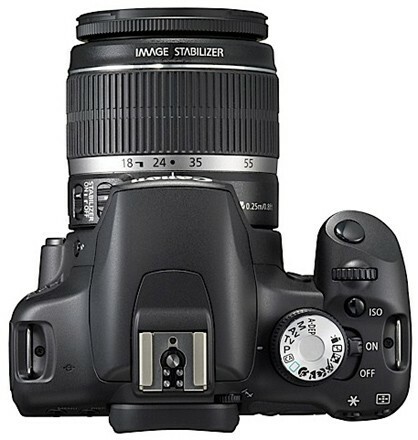 The new Canon EOS 500D (EOS Kiss X3) features a 15.1 Megapixel APS-C CMOS sensor that is ideal for large detailed prints. The camera also offers a high ISO sensitivity up to 3200 which is expandable to 12800. The Canon EOS Kiss X3 will be available in April 2009 for around $800. Got an itch that only a 30 megapixel shooter can scratch? Not really kosher on anything offered up by Hassleblad? 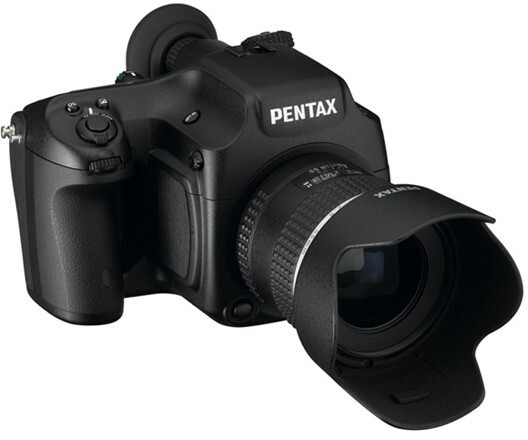 For those odd, eccentric souls who somehow managed to answer 'yes' to both of those inquiries, you'll be elated to know that Pentax's long awaited 645 Digital -- which was once rumored as canceled altogether -- is on track to be released next year. According to an update on the company's Japanese website, the device will boast 30 megapixels and will play quite nicely with the FA645 55mm f/2.8 lens that should launch simultaneously. Start saving those tax credits right about now -- we can say with absolutely certainty that you'll need every spare dollar you can find to afford this sucker. We know, you're a firm believer that there's evidence of thaumaturgy splattered all over here, but believe it or not, all it takes to create a camera in a new color is powerful signature and a little paint. As Pentax has done so often in the past, it's pumping out new editions of old cameras with fresh hues. The latest duo to don new Springtime wardrobes is the K20D -- which is now outfitted in titanium -- and the K-m, which now sports an absolutely peculiar olive shade. Both models are being limited to 1,000 in quantity, and while no price is mentioned, we get the feeling a ticket to Tokyo may be your only shot at acquiring one. Candy looks a lot like any matching puzzler, and to an extent it is. However, it's got a great combo system that'll get your heart pounding much more than your average symbol-slider game. You can carry on moving the tiles as combos are sparking-off elsewhere on the board, meaning that if you're quick enough you can rack-up truly massive chain reactions. Your aim in each level is to make the little candy tiles reach the bottom of the board. This Lite version gives you a handful of levels from the paid version's 80, and it'll keep you going for a relatively brief but very sweet while. The first of this week's tank games, Crazy Tanks is a tilt controlled arena blasting game. In each level, you have to destroy all the enemy tanks and gun emplacements. Tapping the screen shoots your cannon, so it's very simple to control. It won't take too long to blast through this Lite version, but the 3D graphics are easy on the eyes and the simple gameplay makes for some breezy fun. The full version comes with 30 levels, and is just 59p at the time of writing. Ready the cannon! Here’s a fun spy gadget for all the James Bond types out there, the Mr I Spy Digital Camera Binoculars. The Mr I Spy Digital Camera Binoculars aren’t like a normal pair of binoculars, as they have a built in digital camera that lets you take photos of what you are looking at. 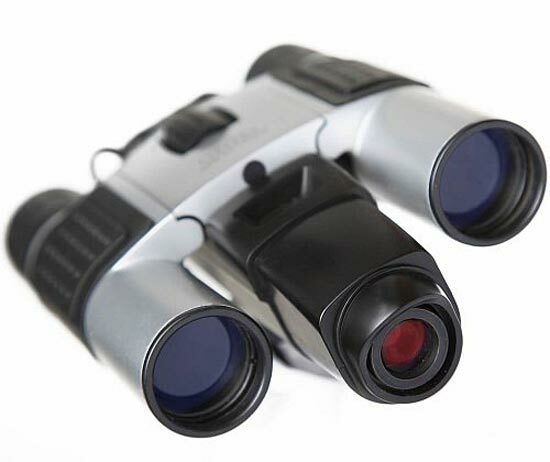 These fun camera binoculars are capable of taking pictures up to 1280 x 1024 resolution, and come with 16MB of built in memory, which is enough to hold about 40 to 50 photos. The Mr I Spy Digital Camera Binoculars are available for £29.95. The E1250TW is the latest digital camera from GE’s General Imaging. 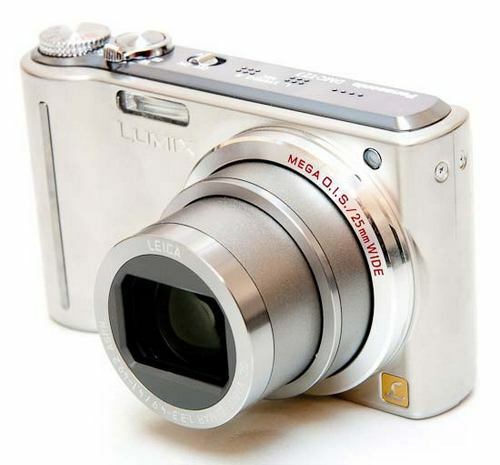 This 12-megapixel camera boasts a 3-inch touchscreen display, 5x optical zoom, 28mm wide angle and ISO up to 1600. 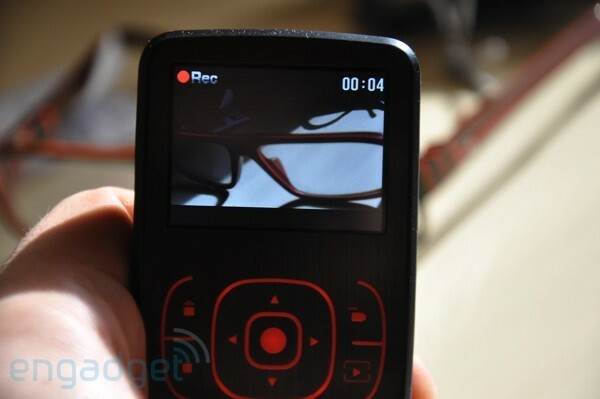 Other interesting features include Face Detection, Smile Detection, Auto Scene Detection, electronic image stabilization, red-eye removal, Pan-capture Panorama and HDTV output. It comes with a variety of colors including black, grey, red and purple. Pricing and release dates are still unknown. Free iPhone? Why do we need to pay for ours? Have you ever wonder why you pay so much for your iPhone? Well in Japan, it’s offered for free! Apple’s iPhone has wowed most of the globe — but not Japan, where the handset is selling so poorly it’s being offered for free. In an effort to boost business, Japanese carrier SoftBank this week launched the “iPhone for Everybody” campaign, which gives away the 8-GB model of the iPhone 3G if customers agree to a two-year contract. Apple’s iPhone is inarguably popular elsewhere: CEO Steve Jobs announced in October that the handset drove Apple to becoming the third-largest mobile supplier in the world, after selling 10 million units in 2008. However, even before the iPhone 3G’s July launch in Japan, analysts were predicting the handset would fail to crack the Japanese market. Japan has been historically hostile toward western brands — including Nokia and Motorola, whose attempts to grab Japanese customers were futile. Besides cultural opposition, Japanese citizens possess high, complex standards when it comes to cellphones. The country is famous for being ahead of its time when it comes to technology, and the iPhone just doesn’t cut it. For example, Japanese handset users are extremely into video and photos — and the iPhone has neither a video camera nor multimedia text messaging. And a highlight feature many in Japan enjoy on their handset is a TV tuner, according to Kuittinen.